In 1934, Keech Castings was a fledgling three-person, family run, foundry operation. Today, we continue the vision of Gordon Keech and have grown into one of the country’s most awarded and innovative operations, with customers across the globe. At the age of 32, Gordon Keech Snr invests £300 to rent a foundry in the Sydney suburb of Mascot, manufacturing general industrial iron and steel casting, with a staff of three. 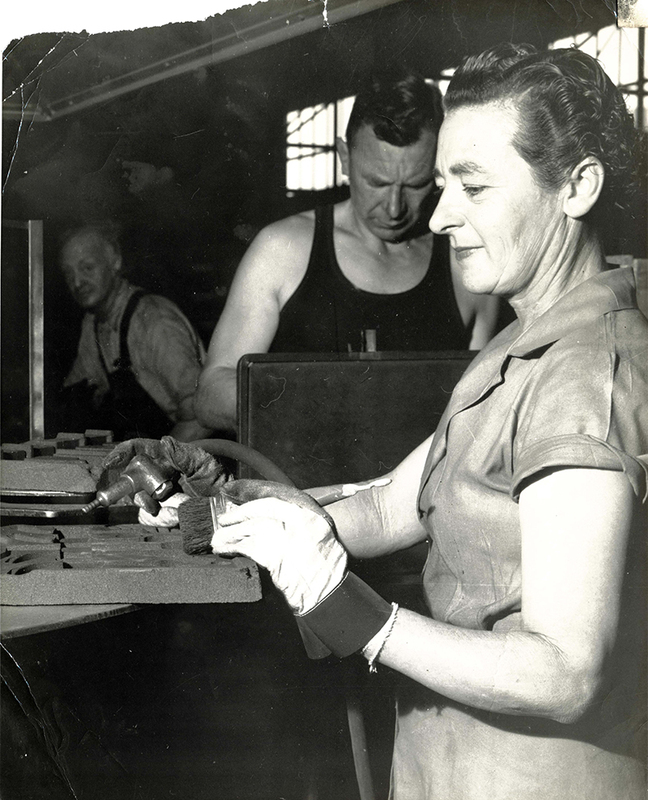 Keech staff increases to 250 people as it switches to wartime manufacture of munitions (hand grenades, Bren Carrier tracks, drive sprockets and other essentials). 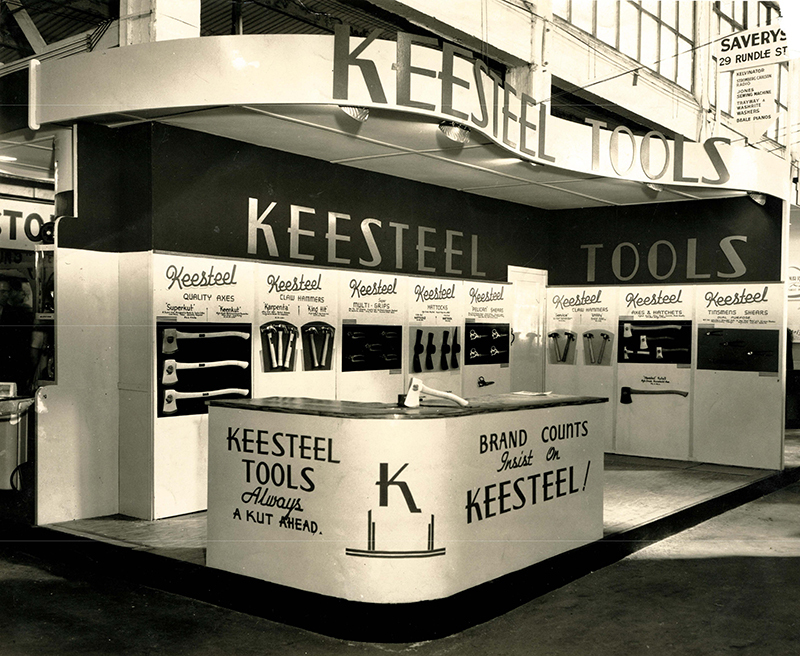 Recognising the value of having its own product range, Keech becomes the first Australian manufacturer of hand and sharp edge tools, marketed under the Keesteel™ Term Paper brand. Second generation, Harry Keech, Norman Keech and Gordon Keech Jnr, join the company, stimulating future growth of the business. Hit hard by imports of cheaper tools, Keech develops hardened steel products for earthmoving and agricultural industries. Third generation, David Keech and Garth Keech, join the company. Keech opens the first office in Melbourne, specifically to service the earth-moving and mining industries. 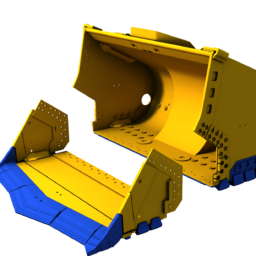 With Australia-wide branches, Keech is a major supplier of earth-moving and mining replacement parts, as well as rail bogie components. Keech employs its first external CEO to bring new expertise and experience to the business. David and Garth Keech purchase the company from their fathers, transferring ownership from the second generation to the third. After more than 60 years operating from its Mascot foundry in NSW, Keech moves to expanded premises on 11 acres in Bendigo, Victoria, where it operates two foundries. Keech develops its industry leading product, the Sidelock™ Hammerless Ground Engagement Tool system, one of a number of patented products developed since 1945. Keech invests more than $2 million to upgrade its No. 2 foundry, making it one of the most modern foundries in Australia. The Santiago de Chile office opens to better service South American mining markets. Keech continues to expand in Australia, opening a dedicated Innovation Centre, and achieves ISO 9001 Quality Assurance Accreditation. Keech celebrates its 80th anniversary, and invests $5 million to upgrade its No. 1 foundry to increase production by an estimated 170%. The company continues to grow through innovation and launches Keech 3D to provide its clients with advanced manufacturing through three-dimensional printing.